Applies to Lassa tyres only. Covers against all accidental damage for the legal life of the tyres. Covers unused part of the tyre, i.e. if 50% worn, then 50% discount will be applied to the new tyre replacement. 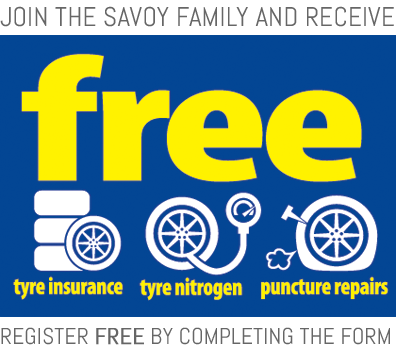 Free nitrogen fill with any tyre purchased. Free top ups while the tyre has at least the legal tread. Applies while the tyre has at least the legal tread. Click here to view legal requirements. Free valve and tyre balancing excluding pressure sensor valves and excluding metal valves.